Mr. Lyons received a B.S. in mathematics in 1973 from Loyola University of Chicago. He received his J.D., with honors, in 1980 from DePaul University College of Law. In addition, Mr. Lyons has been admitted pro hac vice in 20-25 states and federal courts throughout the country. Raymond Lyons is a partner of Lipe Lyons Murphy Nahrstadt & Pontikis Ltd. and a member of the firm's product liability, construction, transportation and tort defense practice groups. He focuses his practice on defending product liability, construction, transportation, catastrophic injury and wrongful death lawsuits brought in state and federal courts around the country. Mr. Lyons serves as vice-chair of the product liability group of the Primerus Defense Institute. He is "AV Preeminent" peer review rated by Martindale-Hubbell, reflecting the highest peer recognition for ethical standards and legal ability. 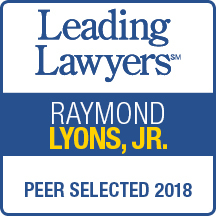 Mr. Lyons was selected by his peers for inclusion in Illinois Leading Lawyers for personal injury defense, general, and transportation defense, including aviation/FELA/maritime. Mr. Lyons was also selected as among Chicago’s Top Rated Lawyers for 2014 in Commercial Litigation, Construction Law, Products Liability and Insurance Law. 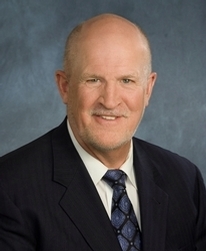 Mr. Lyons has more than 30 years of jury trial experience and has litigated hundreds of cases in state and federal courts throughout the United States, including successfully trying more than 40 cases to verdict. He has represented numerous clients in a range of industries, including TruGreen Limited Partnership, TruGreen Lawncare LLC, The Terminix International Company, L.P., ServiceMaster Company, Manchester Tank & Equipment Company, McWane, Inc., Tyler Pipe, Inc., Gehl Company, Walsh Construction, Gertz Electric Company, National Indemnity Insurance Company, and Zurich Insurance Company. Mr. Lyons has extensive experience in product liability, construction, fraud and transportation matters. He has represented pressure container manufacturers and agricultural equipment manufacturers in numerous catastrophic injury and wrongful death cases. He also has served as national trial counsel for several national pest control and lawncare companies representing these clients in transportation, toxic tort, construction defect and general liability matters.